Digital maps compatible with TrackRanger. Advantech Design can supply a range of digital map products available for purchase from our secure online shop including UBD, NATMAP, Adventurer, WestPrint, Meridian maps, all compatible with the TrackRanger system. Compatible with the new TrackRanger Pro 7 or 8, discovering Australia has never been so easy! Cut, paste and print maps to add into reports, assignments and even invitations! TrackRanger has full support for UBD Street Directory mapping. 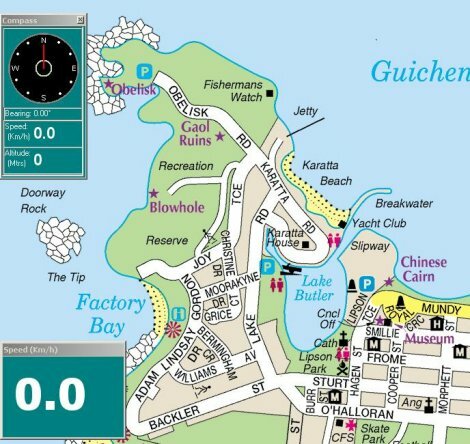 Easily search for and load maps of Suburbs, Streets, or more than 30 other facilities including Caravan Parks, Hospitals, Shopping Complexes, Police Stations, Lookouts, and Wineries. TrackRanger will track your position in real time. You can easily plan a trip, and receive alerts along the way. 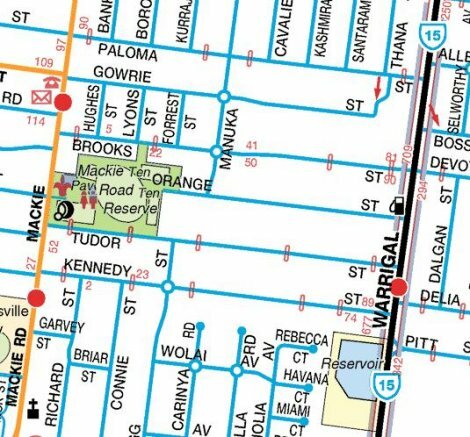 If you also have Natmaps Raster maps installed, TrackRanger will continually look for and load the best available map as you travel, switching to street directory whenever available. Search for Streets, Facilities (shopping centres, hospitals, recreation grounds), Suburbs etc. NATMAP Raster maps are exact digital copies of the Australian Government’s NATMAP topographic maps. NATMAP Raster and NATMAP Digital Maps cover the whole of Australia at 1:250 000 scale. Please note: Natmap versions earlier than 2008 are no longer supported – there are a number of technical issues with these map products that are resolved in the current version. 23 maps covering: Walhalla, Shamrock, Fultons Creek, Beardmores, Donnelly’s Creek, Toombon, Aberfeldy, Fiddlers Green, Woods Point, Mt Useful, Matlock, A1 Mine, Gaffneys Creek, Jericho, Big River, Kevington, Enochs Point, Mt Terrible, Stockmans Reward, Brooklyn Town, Lake Eildon, and historic Grant districts. These high definition maps are Coast-To_Coast and cover Australia’s Desert regions, and TrackRanger can automatically zoom and track your exact position as you travel. The map set includes: Oodnadatta, Tanami Desert, Canning Stock Route, Tennant Creek, Alice Springs, Kalgoorlie, Nullarbor, Poeppel Corner, Cameron Corner, Haddon Corner, Coober Pedy, Simpson Desert, Flinders Rangers and Leigh Creek. The set comprises a total of 33 specialised maps.